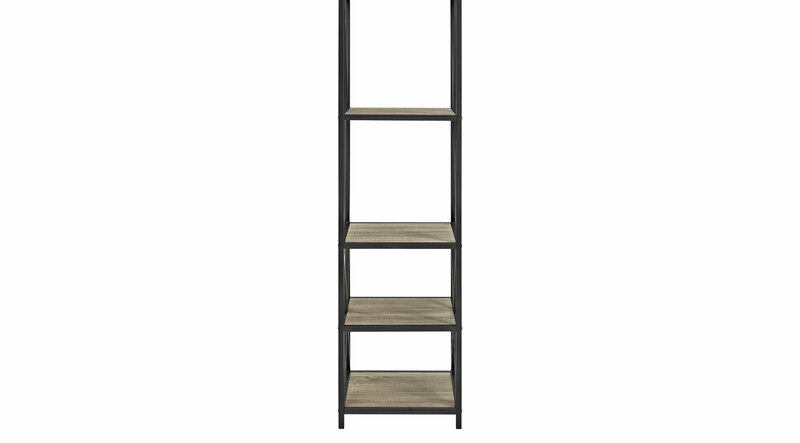 Showcase your books, magazines, media, and more with the beautiful Shelley's Crossing gray 61" tall bookcase. Durably constructed of high-grade laminate and powder coated metal, together they create a sturdy yet stylish shelving unit. The simple x-frame design is the perfect accentuation for any room in your home.